Product Highlights These high-performance models have been created by taking the superior qualities of the TSN-820M Series and putting them into a smaller, more compact scope. These sophisticated scopes satisfy the needs of users in all fields, from beginning bird watchers to scientific researchers. For the highest optical performance and optimum color fidelity. The 66mm diameter objective lens has more than 120% light gathering power of the 60mm objective lens. All optics are fully multi-coated for brighter, clearer and sharper viewing. Prominar ED models are also available for even better optical performance with optimum color definition. 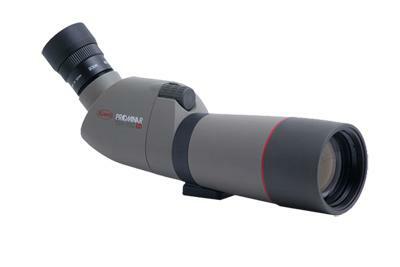 Click the button below to add the Kowa TSN-663 66mm Prominar ED Spotting Scope (Angled) to your wish list.